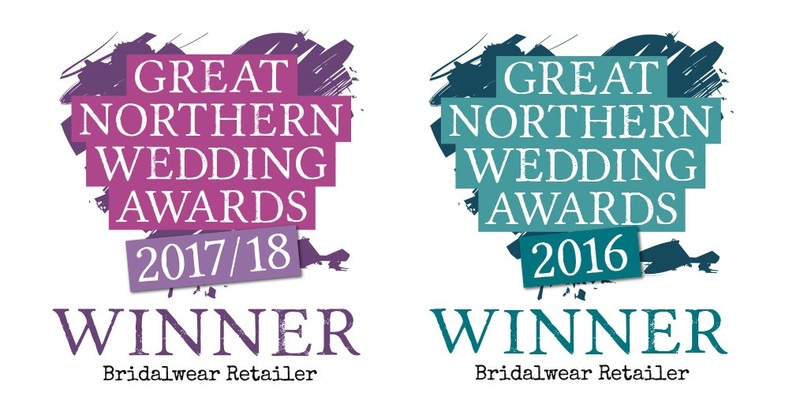 We are so very proud to announce that we won ‘Best Bridalwear Retailer’ and ‘Best Mother of the Bride and Occasionwear’ at this years Great Northern Wedding Awards, hosted by Little White Books at the fabulous venue Beeston Manor. Although these are our first awards, they mean so much to us as the winners were voted by brides and grooms, and we were definitely up against the best in the industry. Over 10,000 individual nominations and votes in total! It’s such a good feeling and we would like to say a massive thank you to everyone who voted for us, and of course our fantastic team.